When you hear electric guitar music, only part of what you hear comes from the guitar. The rest is effects, such as distortion, echoes, reverb, and chorus. While guitarists traditionally use a stack of single-purpose effects pedals to create their unique sound, digital multi-effects have recently become a more convenient alternative. The Line 6 M13 is one of the most sophisticated multi-effect units, with over 80 digital simulations of pedal effects from the traditional to the bizarre. I’ve used lots of multi-effect devices, and I’m pleased to report that the M13 has the best user interface I’ve seen. In fact, since it’s meant to replace a group of guitar pedals, it’s designed so that you can use many of the functions with your foot. The M13’s main interface is divided into four columns and three rows, representing twelve effects pedals. You can use four effects—one in each column—simultaneously. The signal from the guitar normally proceeds through the four effects from left to right. In each column, you can select one of the three rows with the corresponding footswitch. The selected row’s switch will light up. Pressing the same switch twice bypasses the effect for that column. Once you’ve selected a row, the LCD display and knobs at the top of the column let you configure the effect. Pushing the first switch selects the category of effect, while turning it chooses a specific effect. The remaining knobs control the effect’s parameters—for example, the amount of distortion or the number of repeats. Each group of 12 effects is called a scene, and you can have a total of 12 scenes (more with the firmware update, see below.) While this all sounds complex, it only takes a few minutes tinkering with the M13 to understand how to use it. Distortion (yellow) – effects that create the familar distorted and fuzzy guitar tones used in most rock music. Modulation (blue) – effects that change the quality of the sound—for example, tremolo and vibrato effects to vary volume and pitch, and spacy effects like chorus and flanger. Filter (violet) – effects that filter the sound, creating synthesizer-like effects. Delay (green) – effects that repeat a sound, creating rhythm or depth. Reverb (red) – effects that add “air” or simulate the sound of a room or hall. All of the effects sound great. Many of them are digital simulations of well-known guitar effects—for example, the Ibanez Tube Screamer used on many blues records or the Fuzz Face used by Jimi Hendrix. While I’m not enough of an expert on guitar tones to judge how realistic these simulations are, they all sound like the real thing to my ears. Along with all of these effects, the M13 includes a sophisticated looper—an effect that can record and repeat a musical phrase. You can record up to 28 seconds of audio, which will then repeat, and if you’re quick on your feet you can make this sound quite musical. You can then overdub more guitar (or other) parts to create a layered sound. All of this can be operated with 8 of the footswitches normally used to select effects, and features like an Undo button add to the usefulness. The looper is like a separate device in itself—in fact, it’s basically the Line 6 DL4, previously available separately. You can use it in combination with the M13’s effects to create sophisticated layers of sound – here’s one example from Youtube. Recently, Line 6 introduced the M9. It’s a smaller version of the M13. While it can only do three effects at a time and lacks much of the user interface, it has the same effects as the M13, some improved, and 20 more effects. It can also store 48 scenes instead of 12, and has some additional looper features. This sort of thing happens all of the time in the consumer electronics industry—a new device arrives and leaves those who bought the older, more expensive version feeling a bit cheated. But not so with the M13. Coinciding with the release of the M9, Line 6 released a free firmware update for the M13 that gives it all of the new sounds and features of the new unit. Since this firmware update just came out, an M13 you buy today may not have the latest update. See Line 6’s site for information on performing the update. It took me about 5 minutes and everything worked fine. If you’re a devout traditionalist and only need a couple of effects, you might want to get exactly the same pedal effects your guitar heroes use. Most are still available and will undoubtedly sound a bit better than a digital simulation. The M13 only replaces guitar pedals—it doesn’t include an amplifier or an emulation of one. If you don’t have a good amp, you might consider an amp with built-in effects (such as the Line 6 Spider Valve series or the Peavey Vypyr series.) There is also Line 6’s line of POD effects, which combine some of the same effects as the M13 with simulations of a variety of different amplifiers. Some people prefer software to hardware. Software like Native Instruments Guitar Rig or Line 6 Pod Farm can do many of the same effects within a computer. The aforementioned Line 6 M9 is a more compact version of the M13. It lacks some of the effects routing options, the effects share a single LCD screen, and it is limited to 3 effects at a time, but it’s otherwise identical to the M13. If you need to save $100 or if space is at a premium it might be a better choice. As a beginning guitarist, I was bewildered by the variety of effects pedals out there. I wanted to have the option to play with different sounds, but didn’t want to invest thousands of dollars in pedals and surround myself with patchcords. The Line 6 M13 gives me all of the sounds I wanted and more, plus a looper that is great for practicing. For $500, you won’t find anything better, and if we’re lucky, Line 6 will keep updating the firmware to make the M13 even better. FINALLY! The Apple Watch Is The Watch I Have Been Looking For! EVERY SINGLE ONE of these is something that the new Apple Watch has. Here in an introductory video about it. This was the first thing on my list because I was SO sick of the plastic ugliness that passed for digital watches. It’s NINE years later and I’m still disgusted by them. Despite the differing views on beauty, it’s hilariously simple to see that one of these is supremely more beautiful than the other. Both watches are displaying the same data: Time, Date and Day of the Week. The Apple Watch looks so much better doing it, though. This wasn’t as important for me, but somehow, Apple even got that feature right. They are offering the Apple Watch in two sizes, 38mm and 42mm. I can choose the smaller watch, get the same functionality and feel like a girl. Now, the 38mm size could hardly be considered petite, but at least I have a CHOICE. YES! It’s a digital watch! I can choose to just have the time shown to me as some numbers! Yet, if I’m feeling fancy, I can switch the face to an analog face. It’s the best of both worlds. The reason I wanted digital is because of the ease of reading the time, but the Apple Watch has so much more. It can tell me who is calling on my phone. It can send quick texts with dictation via my phone. It can give me directions to the nearest restaurant. It can tell me that my appointment is in five minutes. All the things that I love about my phone, this watch has an easily accessible link to. Metal case and band? Apple one-upped me on that one. I have the choice between stainless steel, space black stainless steel, brushed aluminum, space black aluminum, 18K yellow gold, and 18K rose gold. And the band choices! I can choose between metal, leather, and brightly colored plastic bands! Anything I want, I can choose. I even hope that I’ll be able to buy multiple bands so that I can change them with my clothing. If I’m feeling sporty, I can revert to the plastic. If I am going out, I can wear the stainless steel. Only after Apple offered me all these choices did I realize that I had set my sights so low. And despite such low expectations, the best the watch designers of the world could offer me was this Casio. Why was this the best that they could do? Even I could have designed something prettier, just by removing that static clutter on the screen of that watch. Why were we stuck with this for so long? If I choose the Modular watch face, I can CHOOSE what I put on my screen! Imagine that! You want the weather? Ok! You want the time? Ok! You want the date AND the day of the week with a pretty flower? Yep! Got that one too. What about color? Do you want to change the font so it can be yellow or blue or red? Yeah, they got that, too. That is one of the things I could add to the front screen on the Modular watch face, but even if I go with a pretty analog watch face, I can go to the clock app and use the stopwatch. This is another thing that is available in the clock app. Light? Light? The Apple Watch is back lit, so that means it needs to be charged every night. I’m okay with that, considering all the functionality. The watch will turn on when I move my arm up to look at it. How about that for INSTANT light. I don’t even need to push a stupid button to see my time in the dark. Dual time? How about freakin’ WORLD time?! Is that good enough for ya?! Oh, and if you want, you can display that other time right on the front screen. BOOYA! I have been waiting for something like this watch for a LONG time. I’ve been saving my money and willing to drop a ton of it on whomever does it best. Here I am, finally able to to get EVERYTHING I wanted. I’ve heard some complaints about the price (starting at $350) online, but honestly, I’ve been holding on to about seven hundred dollars, just waiting for a watch that was good enough to spend that much money on. In fact, the prettiest, most functional watch I had before the Apple Watch was my Luar from Swatch and it cost $450 and I had to order it from Europe. And setting it is SO difficult that I LITERALLY wrote a Gadgets Page entry about it so I could remember it all. Finally! A watch that was made for ME! I only had to wait NINE years for it to arrive! My boy put Angry Bird stickers all over his computer when we first gave it to him. He is no longer obsessed with Angry Birds. Angry Birds are for little kids now, and he took off all the stickers. Even though we gave him some Goo Gone, there was still some horrible, sticky residue. The residue stayed there and we pretty much resigned ourselves to a disgusting computer until my husband tried a Magic Eraser on it. The result was… magical, to say the least. We couldn’t believe how well it worked to remove the dirt AND the sticky residue. If you are dealing with sticker goo on your electronics, try a Mr. Clean Magic Eraser. It worked like magic for us! I have completed an insanely easy hack to create solar light candlesticks. They look great! I wanted something cleaner and easier to store in our trailer, so I chose the Ikea Stockholm candlestick holders. This was even easier than my solar light hack before because all we had to do was cut the post with a hack saw and put the solar light into the candlesticks. They give off a lot more light than one would expect from one dollar store solar light. I made a couple of really pretty solar lights for when we go camping for only $22. I’m so excited to take them out. I just wish the weather would cooperate! With a title like 30 Life Hacks Debunked, I thought that all of them would fail, but surprisingly a number of them pass. When browsing on the web, do not scroll using the control on the right side. Use the Space Bar on your keyboard to scroll down one page. Use Shift+Space Bar to go back a page. When filling out forms, use the Tab key to move from box to box. When filling out a drop-down menu, type the first letter of item. If there are multiple items with that letter, keep pressing it to get to each one. i.e. Press “T” twice to get to Texas on the states list. To magnify a website, use Control (or Command for Mac) and press the “+” key. It will make the text larger. To reduce the size, use Control and the “-” key. When you’re typing on your Blackberry, Android or iPhone, you can press the Space Bar twice to add a period, space and turn on capitalization for your next sentence. To redial on your cell phone, just press the call button without typing in a number and your phone will call the last number you dialed. To jump past the directions when you’re leaving a message, press the following: * for Verizon, # for AT&T, and 1 for Sprint. Google is also a dictionary if you type “define” and the word in question, it will bring it up for you. Additionally, if you type the airline and flight number, Google will tell you where it is and whether it’s on time. It will also convert units and currency for you. When typing text, double-click to highlight one word. You don’t need to delete. You can just start typing over it. Double-clicking and dragging will highlight text in one-word increments. Triple-click to highlight an entire paragraph. Hold down the button on your camera to calculate focus and exposure to prevent shutter lag. When you’re presenting using Keynote, press the B key to blackout the slide and make everyone look at you. Hit the W key to whiteout the slide. Don’t sit around all day, watching TED talks. Get some stuff done!!! I love this one-handed clothes hanger that makes taking clothes out of the closet easy. They were designed by Howard Tseng and are now being marketed by Quirky. I didn’t understand the genius of this hanger until I saw the video demonstrating it. All of this looked wonderful until I saw the price. They are $11 for four hangers. At that price, I think I’m willing to use both hands. For $200, it seems a bit pricey, but what a GREAT idea! 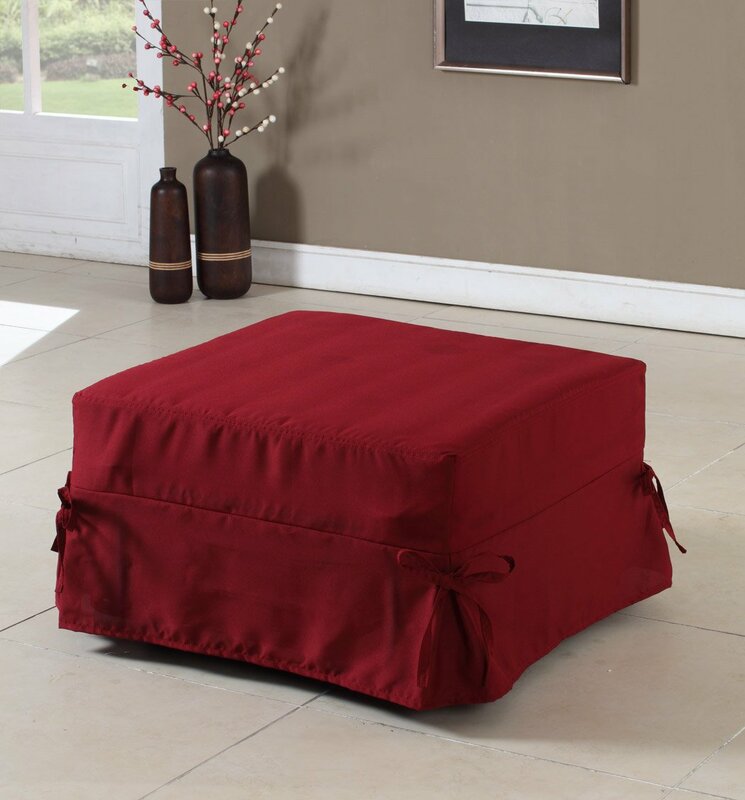 This little ottoman turns into a twin bed with just a little folding. 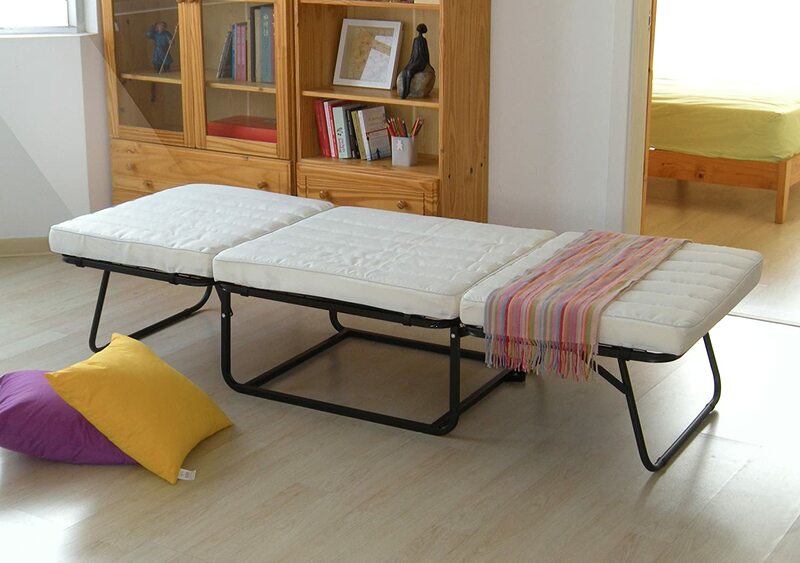 I had no idea that a simple piece of furniture could be so versatile. I’m surprised IKEA doesn’t make one. The Hand Me Down House took some mason jars and dressed them up with mod podge and tissue paper. With the addition of a solar light, they became beautiful additions to the backyard. The one thing I would have done differently with that project is use stronger wire for hanging the lights so that they could have held up to the near hurricane force winds we get in our neighborhood on a regular basis. My four remaining hanging lights are going to be packed into our tent trailer and hung on the awning when we go camping so we can have light at night. Hopefully, they’ll be safe from the winds there. I have been looking for a hand crank charger for my iPhone for over a year now. I tried out so many of them and returned them to the store disappointed. The biggest problem is the consistency of power. The iPhone must have a consistent charge in order to work. Eton got things right with their FRX3 Solar/Battery/Handcrank Charger. As soon as I saw it at their booth, I pulled out my iPhone and wanted PROOF that it would charge it. So many chargers had claimed to work with the iPhone that I really didn’t believe it would. They gladly let me try it out. It worked easily and the reason is quite ingenious. Instead of depending on the user to crank the handle at the PERFECT speed to provide power to the iPhone, the Eton charges the iPhone with its battery. When you need to charge your iPhone, you must crank up their battery FIRST and then it will charge your phone without any problems. Additionally, it can trickle charge the battery with its solar panel on the top, using an electrical outlet and with AAA batteries. I was really impressed with all the options available. Here is a video of me attaching my phone to the charger. It’s a good looking unit that comes in both black and red. There is also a radio and a flashlight included, so it doubles as a great emergency tool. They are going to retail for only $60 bucks, but there was no word on how soon they would be available. Until then, I’m checking the Eton website every few weeks to see if I can buy it.